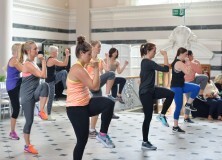 My training for my #EmmasArmy against Cancer campaign has gone somewhat out the window, since my surgery. I wasn’t prepared for that, and supposedly now, I’m not supposed to do any exercise for 4-6 weeks post surgery… which leads to the date of the walk! The thing is… I’ve worked too hard to quit. I’m not going to postpone and I’m not going to drop out. My body might not be AS prepared for walking 104 miles, had I not just had surgery. But my determination hasn’t faded. I may not have my 100 walkers that I wanted to find (so many have dropped out) and I may not reach my fundraising target of £20,000 but I still have a small army and those people will do me proud. I am still searching for more people to walk ten miles with me. I am still fundraising and very soon, I’m going to restart my training, albeit not quite so fiercely as before. This walk is now going to be tougher on me, physically and mentally. My training was going so well, before my operation, but now I can barely walk half a mile without being in pain. I’ve got just over 3 weeks to go. I might be weak, but I will make myself strong again and with the support of my friends, I WILL WALK 104 MILES in May, as planned! I’ve been made a finalist for the outstanding contribution category in the MAD Blog awards for my dedication to fundraising for Cancer charities and raising awareness of Cancer issues. I am not about to give up now. I want people to be glad they nominated me to be one of those finalists. I want to continue to make people proud and inspire people. WILL YOU WALK TEN MILES WITH ME? If so… please go to this page here and sign up. You can view the dates and the route plan, on this page. WOULD YOU LIKE TO SPONSOR ME OR MY ARMY? You can sponsor someone else from #EmmasArmy here. If you want to buy an #EmmasArmy t-shirt for £12 – with all profits going to Cancer Research UK (at least £5 from each t-shirt). Drop me an email to emma @ crazywithtwins .com (without the spaces – those are just there to stop me getting spammed). WOULD YOU LIKE TO BLOG ABOUT #EmmasArmy ? Drop me a message on Facebook, Twitter or email, I’d love as many people as possible to blog / walk / sponsor this campaign. 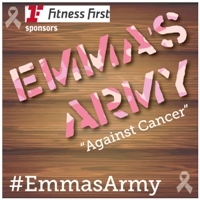 #EmmasArmy is branching out across the country - There are new ways you can get involved! This entry was posted in #EmmasArmy, Cancer, Charity / Awareness, Fitness, Health, Medical, Radioactive mum, Sport, Uncategorized and tagged #EmmasArmy, #EmmasArmy against cancer, campaigns, Cancer, Cancer Research UK, Cotswold Way, Emma Day, Emma's Army against cancer, fitness, Fundraising, health, radioactive mum, Raising awareness, walking. Bookmark the permalink. Good luck! You are so strong and determined, I know you will do it. I hope you get a few more recruits before the walk starts. Are you going to try and get some more media coverage? Might be a good idea to do a ‘final call for recruits’ now and then a photo opportunity during the walk.